Autodesk has put out an interesting webinar this week with Daryl Obert, Technical Marketing Manager, and Chris Vienneau, Director of Product Management for Maya, which looks at how the improvements made to Maya 2016 allows for better workflows, as well as makes it easier for beginners to learn the software. Maya 2016 includes many new things and is focused on user-friendliness, with things like a panel-based workflow using the modeling toolkit, a complete Look-Dev environment within the Hypershade, and making Bifrost more accessible to users outside of the large studio pipelines. 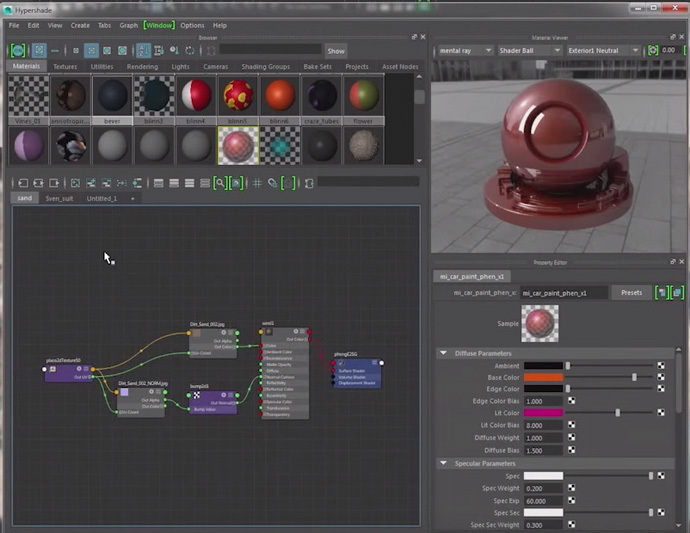 The hour long video can be found below and is well worth watching if you're using Maya 2016, as it includes a lot of tips on hidden features and new workflows. However, if you're short on time, keep reading for the quick summary of the main things that most Maya users will benefit from in this version. The first thing to note about Maya 2016 is the new UI, which brings a nice modern look with scalable icons and color coding. There's a few reasons for this massive overhaul; in addition to the icons becoming dated there were also inconsistency between versions, and with more use of high-DPI displays it's important to have a UI that can be scaled up without any blur. The color coded shelf is more user-friendly, as it makes it easier for Maya beginners to get the tools and how they work together. There's also been some changes to the menu sets, with the Polygons and NURBS now placed under a single Modeling menu, allowing for a task-based workflow. Things like deformers, which are used both in modeling and rigging, can now to be found under both menu sets, which makes it easier to find what you're looking for. TIP: If you can't find a tool in Maya 2016, go to the Find Menu under Help > Find Menu, and type in what you're looking for. The Find Menu, although there before, was buried in earlier versions. The integration of the Modeling Toolkit, which was first introduced in Maya 2014, is now complete. This is the result of several years work by a dedicated modeling team, which was first set up when Autodesk acquired both the technology and developers of the popular third party plug-in for Maya called NEX. While the modeling tools can still be accessed through the drop down and marking menus, all the tools can now be found in one place through a single click using the panel-based workflow, which makes navigating the UI for a beginner a lot less confusing. It also has the advantage of keeping you in the viewport, which makes for a more interactive working environment where you don't have to waste time wading through long text-based editors. This is further supported by popup windows for the tools, which offer a filter view for all the attributes you would have available through the Attribute Editor. Another user-friendly feature is that the hotkeys are embedded into the Modeling Toolkit itself, if you select a tool such as the Multi-Cut tool and scroll down you'll find the Keyboard Shortcuts (highlighted in red in the image above). Middle-mouse clicking over the arrows for symmetry and constraints (highlighted in green) will toggle between your last state. Two very popular tools that have been introduced with the Modeling Toolkit are the Multi-Cut and Quad Draw tools. The Multi-Cut tool, which replaces the older split poly-, interactive split- and insert edge loop tools, uses more accurate percentage snapping in ten percent increments (by holding down shift and the left mouse button). It can also insert a full edge loop (hold ctrl), cut across multiple faces (middle-mouse click and drag across an object), and cut across the interior of a face. The Quad Draw tool is for retopologizing when you're trying to go from a high-res mesh to a low-res mesh, for example if you have a dense triangular terrain mesh created through photogrammetry and you want to use it as a collision object in a rigid body simulation. For this the Quad Draw tool offers a quick way to retopologize, by laying down quads on a live surface, without having to leave Maya. TIP: By clicking the settings icon in the right-hand corner of the popup window you can customize the attributes to what you use the most. This also offers you a quick way to copy and paste attributes. In Maya 2016 the sculpting tools from Autodesk's Mudbox have been ported into Maya. So why sculpt in Maya when we have Mudbox? The main reason for this is that there are a lot of shape-based workflows related to animation in Maya, and users have requested the ability to alter shapes directly inside of Maya, merging the Mudbox sculpting tools with deformers and blendshapes. This new workflow makes it possible to visualize things in Maya that would be difficult to see in a non-animation package. Maya now uses the Unfold 3D algorithm which was first introduced in Maya 2015, which has not only sped up UV layout, but also lets you work with much denser meshes. A lot of work has also gone into making for a smoother workflow when moving between Maya and common packages used for texturing such as Mari and ZBrush, as well as external rendering engines. In addition to this there's a new pinning workflow and brush-based tools now work directly inside the UV window, using the same engine as the brush tools in the sculpting tool set taken from Mudbox. This makes it possible to use the same brush-based workflow in UV layout, which makes the cutting and sewing tools are a lot more user-friendly and it also gets easier to select edges that would otherwise be tricky to pick, thus speeding up the UV process significantly compared to earlier versions. For more on the updated workflow for UV layout in Maya 2016 and integration with Mari, check out this tutorial which takes you through a complete character in around 15 minutes, something that's not been possible before, as well as looks at the different workflows in Maya and Headus UV Layout. Some major improvements have been done to the Hypershade window. The main graphing system is now the Node Editor which was introduced a few versions back, and brought with it a more modern workflow after replacing the Connection Editor and the Multilister. 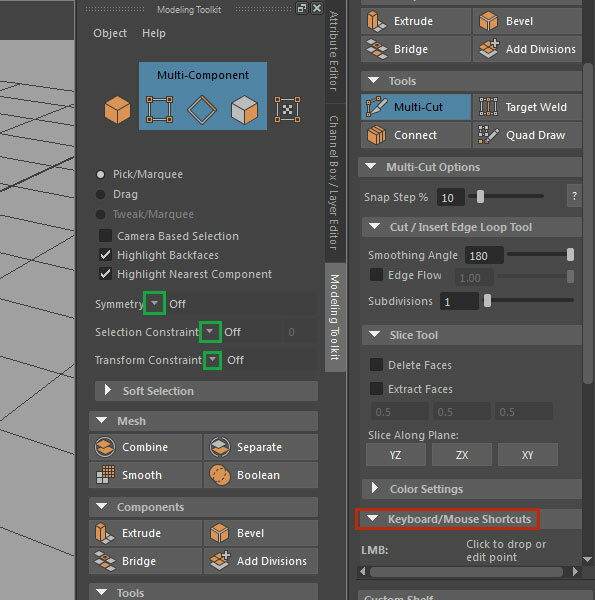 What's new in 2016 is that any other windows, such as the Material Viewer (which allows you to preview materials without the need to render) and Property Editor (a filtered version of the Attribute Editor) can be docked directly inside the Hypershade, thus allowing it to become a complete Look-Dev environment. Maya 2016 also brings a number of changes to mental ray, the greatest amount in several versions which begins the long awaited move to modern rendering workflows in Maya. A new color management system, for which the foundation was laid in 2015, uses the default industry standard for Linear Workflow, which will hopefully make it less confusing for new users of Maya. In addition to this the more advanced effects features Xgen and Bifrost, which were introduced in Maya 2015, have become more accessible.